The creative benefits of journaling. That’s exactly why keeping a journal is essential for writers. The countless benefits of journaling include getting regular writing practice, establishing a space where you can explore your creative ideas, and fostering a daily writing habit. Do all writers keep journals? Of course not. But most of us have kept journals at some point, and for most of us, journal writing has been instrumental in our development as writers. Writing morning pages is like boot camp for your muse. By writing every day at the same time, you train her to show up when you say it’s time to work. Cameron’s methodology also involves turning off the inner censor, that little voice that berates every sentence. The key is to simply let the words flow. Think about it — if you write three pages a day, in seven days, you’ll have twenty-one pages. In a month, you’ll have about ninety pages, and in one year, you’ll have well over a thousand pages. That’s a lot of creative material to pull ideas from. And those are just a few of the benefits of journaling. If you’re new to writing or want to explore writing as a career or hobby, then journal writing is your ticket onto the expressway to becoming a writer. You can use your journal to draft stories, sketch characters, jot down poems, or record the events of your daily life. 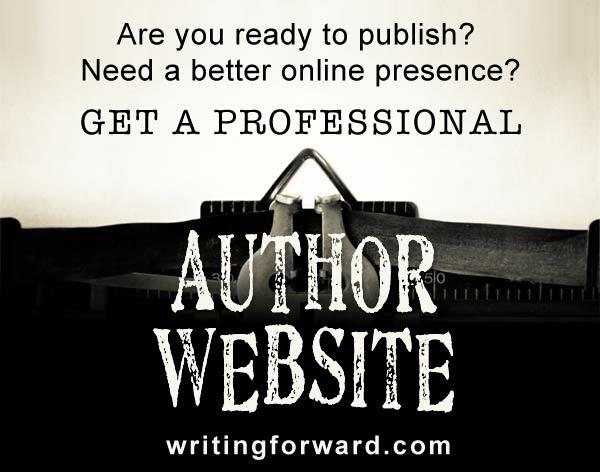 Maybe after one year and over a thousand pages, you’ll be able to do some editing and publish your memoir. Journaling is also great for commercial writers (technical writers, copywriters, etc. ), who spend all day writing and editing copy for clients. This type of writing is a lot different from writing stories or poems; keeping a journal can help to get your head out of business and into more creative forms of writing. 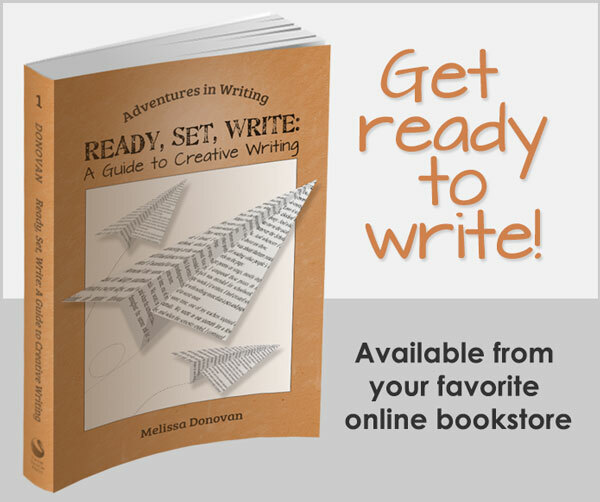 The creativity you cultivate will then seep into your professional writing, and it will become more vivid and engaging. Even if you don’t stick to a rigorous schedule, it’s important to write somewhat regularly to get the most out of the benefits of journaling. This helps keep ideas and language flowing and helps you build the journal writing habit. You may only be able to journal on weekends or on certain days of the week. Sticking to a schedule (preferably daily) is the best way, but it’s not always realistic. The most important thing is that you commit to keeping a journal and then keep your journal with you or nearby at all times. You can also carry smaller notebooks or scraps of paper and either glue or tape them into your journal later. I’ve been writing a journal on and off for more years than I care to admit that I have under my belt. Throughout all those years, I’ve tried every type of journal under the sun, and finally, I found my favorite for journal writing. Technically, the Watson-Guptill Sketchbook is just that, a sketchbook. The pages are blank instead of lined, so you can doodle and write sideways, and I love adding color with Crayola Markers, too! Some writers can journal using anything — composition books, legal pads, napkins. I can do that too, but I don’t feel the same connection to it as when I have my own sacred space especially for journal writing. Recently, I’ve got it into my head that I’ll start journaling on the computer. But it’s just not the same as having that pen and paper in my hand. It’s almost like I’m closer to my creativity or my subconscious when I’m using a pen. I’m not sure if that’s true or even possible, but it sure feels that way, making the tactile experience of working with pen and paper yet another benefit of journaling. Have you ever kept a journal? Do you keep one now? Let’s talk about how journal writing has impacted our writing or even our lives. What type of notebook or paper do you use for your journal, or do you use a computer? Is your blog your journal? What benefits of journaling have you experienced? That would be enough to joggle out the memory of a great day. I love those little calendar journals becasue I can look back and see my entire year laid out. Then I have my vacation journals that I take on vacations and write about what is happening and draw pictures and little watercolor scteches of we are seeing or doing to record our vacations with. Then my lists,hopes,quotes and dreams journal..also refered to as the someday journal.This one is always with me to jot down something that pops in my head. I’ve kept journals on some of my vacation trips…Plus I add some of my cartoons to capture the momenet. They’re great to look at years later, they bring all my memories back. Though I’ve gotten so used to the keyboard, my handwriting has suffered. I actually don’t like to write manually anymore. I get frustrated that my thoughts come out faster than I can put the words down on paper. Then there’s a backlog and I get cramps in my hands trying to scribble everything down in time before it’s lost. I much prefer using a computer. At least with a keyboard, my hands can somewhat keep up with my brain. Loved this post but then journaling is a favorite topic of mine. Apologies in advance if the link doesn’t code right. WP and I haven’t been on the same code page since their last upgrade. And I’m thinking about switching to WP why? I don’t keep a daily journal, but (like Wendi and Friar) I do keep vacation journals. My husband and I take turns chronicling our vacation events, and we do our best to keep ticket stubs, postcards, and other memorabilia in our travel journals. It’s great to look back on them are remember the little moments we captured – ones we would have otherwise forgotten. @Wendi, you keep so many journals, it sounds like you could indeed write an entire post about them! I can totally relate to what you’re saying about cringing when you go back and read old journals. Not so much dealing with the same issues, but all that whining! I kept a lot of journals during my teen years and that’s all I’ll say about that. @Friar, computers have destroyed good penmanship! I’ve heard this time and again on the blogs I read. I have to agree with you; it’s easier to keep up with my thoughts when I write on the computer, but the trade-off is that I do feel more creative with pen and paper. What’s a girl to do? @Deb (gscottage), I remember that post you wrote about journaling! And yes, glitter pens are a little out of character! You’re full of fun surprises (I love those glitter pens too, but I don’t have any at the moment). @Deb (Punctuality), well, you don’t have to draw. Unless you want to. I’m not an artist by any means, but I’ve found that while using a computer to type has had a negative impact on my handwriting, it hasn’t really affected what little drawing abilities I have. That’s sort of good news, right? @Rebecca, I’ve always wanted to keep a travel journal but when I do travel (not very often), I’m always too busy to sit down and write. If I ever take that big trip to NY or Paris, I’m going to make journaling my adventures a priority! @Karen, you’re going to LOVE the Mac. I promise! I’ll love my own Mac even more when I can get the rest of the software I need. Every time I see the word Mac, dollar signs swarm around my head! And yes, we are much alike when it comes to journaling. I used to keep separate journals too, but now I lump everything into one. I agree, good penmanship is on the decline. It’s a dying skill. (Just like baking bread, or weaving and spinning your own wool). But in exchange, we gain other skills. The upside is technology gives us more time to focus on the actual CONTENT of the writing, instead of how pretty the words look on paper. With so many finite hours in a given day, I guess it’s a matter of deciding what you want to spend your time on. My journal is my friend, but I can only visit when I am relaxed. I always write by hand and it means I need to unwind to do it. But there is something else to it- when I am really working through things I always find a silent space where I can listen. I often don’t want to invade that space, even with my own words. So I tend to journal when the storm is over. @friar – I definitely agree that modern manuscripting leave more time for content. I was the first left-handed student the first grade teacher was not allowed to change and it drove her crazy. Actually she would just shake her head and murmur “you’ll never learn to write.” And I didn’t until recently. My handwriting is generally much better now unless I am very tired (like at the end of back to back Blue books). Now with wordprocessing I feel much freer to just tap away because if it has a problem I just cut and paste or hit delete. Never again do I have to completely retype something because I forgot the footnote on page 2 of 26 pages. Hallelujah! Melissa: I have “The Artist’s Way” and did morning pages for a while. I also have a book on “the proprioceptive method” of journaling which is basically listening to your thoughts and slowing down the thought process to the time it takes you to write down what you’re thinking. By slowing down the thought process you can better reflect on what you’re thinking. I’m working on creating a morning ritual for myself right now and I want to reincorporate journal writing into my life. Melissa: I journal haphazardly on a moleskin watercolor book with tear out sheets. For me writing on paper is all about the feel of the paper I’m writing on and of the pen I use (a cheap 2.49 pilot explorer with extra fine tip). Into the book I paste images, cartoons, photos, write stuff, even jot down grocery lists (these can be interesting to come back to sometimes), impressions of any sort or anything that comes to mind and which I fear forgetting. Once I finish one I put it away and start a new one. I certainly do believe that journaling keeps the muse active, and provides a great source for material. I also share your sentiment about preferring to write on paper instead of typing it out on a keyboard. There definitely is something about the old-fashioned method that gets the juices flowing and lets one feel like a “real” writer. As you mentioned in your post, I take a smaller notebook everywhere with me for when those random lightning bolts strike. I’ve never glued them to my main journal, but that actually sounds like an interesting idea. I think I’ll try that. For me, journaling and blogging have to be kept separate because I’m (unsuccessfully) trying to blog for profession. The journal voice just seems too impersonal and unprofessional — as it very well should! But great ideas for a blog post definitely come from regular journaling. I have journaled a fair bit of my life – I find the cathartic benefits to be quite fantastic. It is amazing how I talk myself through a problem in my journal. I journal haphazardly with pen and paper (my preferred method) and have all my life but I do publish Sunday-Friday on my blog and I do some journaling there too. Raw journaling on paper really does help you process thoughts and develop ideas! I wish I had kept a vacation journal on our honeymoon, we did take pictures (9 rolls of film for a 6 day trip) and we did save all of our stubs and etc… I keep meaning to scrapbook all those pictures, it’s been 9 years now but one of these days I’ll get it done. I’m almost finished with our wedding scrapbooks – it is amazing how the memories come back once I start journaling in the scrapbooks. I have an Aunt and Uncle who biked across France early in their marriage, they have been married for 33 years now and my Aunt is putting together a scrapbook of that trip. She says that the journals she kept are the only way she remembers a lot of the things that happened. Excellent Article! Thanks to MicheleT who pointed me here via Plurk! I recently started my Morning Pages again (as you already know). I don’t know why I stopped doing them (prob b/c of the time commitment) because they are the most helpful thing I’ve ever done. I also keep a regular daily journal (that isn’t really that “daily”). Most recently I’ve started a gluebook, which has become my art journal, of sorts. While I don’t write in it, I definitely express myself with the process of create collages on the pages. I was bored one summer when I was 12. My Mom had her old typewriter and her old college typing book. I taught myself to touch-type. Most useful thing I ever did. You’re right. There is so much FREEDOM in being able to tap away on the keyboard, and cut and paste. Without having to worry about carbon paper or liquid paper..! @friar – Actually being a lefty is great and I have come to love it. I think it goes with my contrary nature to go against the crowd; and right-handedness is way too crowded. Remember August 13 is Left-Handed Day! Remember having to bring a report to the “Typing Pool”. Where you’d bring your hand-written documents, and the Word Processor ladies would type it out for you? It took a couple of weeks just to go through a few edits. I think people were more careful what they wrote, back then, though. A document only went through 2-3 revisions, not 20. And Hey, I know all about the Monkees! I was too young when they first came out, but they were popular well into the 1970’s. Watched the reruns on TV as a kid. Corgi Toys (if you remember those) even had a MonkeyMobile. @Harmony, glad you’re back and journaling too! Yes, a journal is a lot like a friend — one who always listens. Carving out quiet time to be with our thoughts (and journals) is always helpful. @Deb (gscottage), I really don’t know how we ever got along without word processing. I remember taking typing in junior high and it was SUCH a pain to make corrections or add footnotes. As much as Microsoft irritates me, I do appreciate that they created Word, which I love. @Marelisa, the proprioceptive method sounds pretty good. Do you have the title of that book? I wouldn’t mind learning how to slow down my thoughts at will since most of the time they are spinning out of control! @Milena, I bet your journals are fun to read through. I have a few like that — old journals that contain everything from drawings to shopping lists. They’re among the most interesting to look at. Also a good source for inspiration! @Nathan, I think we’d all like to be professional bloggers. I wouldn’t mind that at all! You might be surprised at how responsive readers are when you blog in a more personal (journal) style. When I started Writing Forward, I had a very professional/clinical approach to the voice of each post and then I sort of threw my hands up in the air and got really casual. Guess what? Things improved: more subscribers, more comments, etc. The same thing happened when I stopped adhering to a strict schedule. Blogging is odd and surprising, to say the least. @Michele, you’ve got me thinking about my own stacks of journals, and I’m trying to figure out if I’ve filled in more journals or if I have more waiting to be used. I have a whole shelf of blank journals and notebooks, and it seems to grow all the time! @JimBob51, yes, I think if we approach journaling with the notion to solve problems or provide some sort of relief, the whole process can be effective. I’ve done quite a bit of that type of journaling and saw impressive results. @Blessed, welcome! And thanks for reading and commenting. One of the reasons I don’t journal about actual events is that I’ve always had a really good memory, and I figure if the details are important enough, I’ll remember them. But recently I’ve read a few old papers and realized that I don’t remember as much as I thought! So I’d like to start journaling events and trips much the same way you do. @Hope, I have done a few collage projects, and I have to say that I love making collages! It’s just really time consuming but oh so much fun! @Friar, I taught myself how to type too! Except I did it on a computer using this game called Typing Tutor. Kind of like Tetris. The letters would fall from the top of the screen and you had to hit them on the keyboard before they reached the bottom. By the time I took an actual typing class, I had it down and was the fastest student! Hahehe. @Deb (gscottage) I have too heard of The Monkees! I own many of their songs and used to listen to their albums when I was a child. My mom and I watched their show all the time. Those crazy Monkees! Hahehee! Hey hey we’re the Monkees! Typing Tetris? Oh man, I wish we had something like that when I was a kid. While I in no way want to minimize Julia Cameron’s contributions to the field, you neglect to mention Natalie Goldberg’s wonderful Writing Down the Bones and Wild Mind, Kathleen Adams Journal to the Self, and Tristine Rainer’s The New Diary. I recall reading these long before Ms. Cameron. Nor do you mention Ira Progoff, and his At a Journal Workshop. All of these are equally as important. @Melissa, Really? I’ve always wondered, because it’s darn hard to talk about some topics in a strictly professional way 🙂 — I’m definitely going to have to try a post in a more casual way! I’m late to the party on this one, but I think I’ll give the morning pages a shot while I’m still in bed with a cup of coffee. 😉 Maybe it’ll make self-motivating in the morning easier—despite knowing every productivity trick in the book, motivation is not something I have mastered! @friar – The four guys who comprised The Monkees were legitimate well-train musicians but they were originally (unbeknownst to them) signed to lip-sync to a pre-recorded track. It was either Nesmith or Dolenz who put up a big stink and actually orchestrated a small strike to do some test shows with them writing and “live” performing their own songs. It took off from there. @karen – My dad who was a trained teacher actually kept signing me out of typing classes so I wouldn’t become a “dumb secretary” who “makes no money.” Makes me wonder what my mother thought of that since she went back to doing secretarial because he got fired and we lived off that secretarial income. In high school I wrote my newspaper stories (school and the daily) by the 2 finger method on a broken red IBM Selectric in the back of the school typing lab (we’ll leave out what years those were). I had a Smith-Corona electric that was a graduation present for college but I was still in the hunt and peck mode so it always took a week to type a paper which meant no sleep. In 1982/3 we bought a K-Pro and WordPerfect because my husband was writing his master’s thesis and I “typed” 280 of the 300 pages. Most of you are too young to have experienced the olden days of home computing. Y’all talk about booting and bios but you’re at the push-button stage. To get ready to type on the K-Pro meant turning it on to warm it up, and then take the boot disk to tell it what it was, then eject and put in the WordPerfect disk so it knew what I wanted to do. All of this is without a mouse so there were certain screens and stages where it was “safe” to make these changes. The internal storage was for in-use only so every 10 minutes -by the clock- I had to re-save to a five-and-a-quarter storage disk (eject WP, insert blank, save, reinsert WP). Everything would come to a halt if it got stuck in a “do-loop” which I’m told is remedied by hitting “esc” but the system cost us $1200 and had basically no warranty so it would sit till my husband came home. I’ll save the “modem” story for another day. I kept a journal when I was a kid and then in 5th grade one of my friends brought it to school without me knowing and it went around the school like wildfire. I haven’t kept one since you never know who is gonna find it and show people everthing inside. @Friar, yep, typing tetris was a lot of fun. I bet it’s still out there somewhere. I think the official name was Typing Tutor. @otherdeb, I wasn’t going for a bibliography on books about journaling with this post…just wanted to share some tips and ideas. I chose The Artist’s Way because I wanted to talk about the usefulness of the morning pages. However, Writing Down the Bones is one of my favorite writing books, and I’ve mentioned it here on this blog a few times already. Thanks for sharing those other journaling resources with us. @Nathan, yes, really! I think it depends on the type of blog you have and of course on your audience. For example, a casual voice wouldn’t be appropriate on a medical blog but would work well on a blog about pets. @Michele, yep, I have lots of blank pages to fill and plenty of ideas too! Hopefully I’ll get to spend some time on Plurk one of these days. So far, all I’ve done is set up my account and accept requests that forward to my email. I’m not sure if I like it better than Twitter, which I also haven’t had time for lately. Kind of a bummer but we can only do so much in a day. @Karen, a relic? Geez, I thought you were about 30 from your photo (that’s younger than me, btw). I think my favorite Monkees song was “I’m a Believer.” There’s another (obscure) one called “Randy Scouse Grit” or something like that, which I like a lot too. @Joel, The only time I’m not motivated is in the morning. When it comes to productivity, I’ve got everything down except mastering my sleeping habits. My vision is to sit on a lovely porch each morning (preferably before 10 a.m.) with my coffee and morning pages for about twenty minutes. We’ll see if that ever happens! @Deb (gscottage), man, that would have been cheesy if the Monkees didn’t perform their own music. I mean it was kind of cheesy anyway, so can you imagine? Heheh. @Coby, my mom always said don’t write down anything unless you don’t care who sees it. I did not take her advice. One of my boyfriends once read my journal and happened across a page where I was complaining about him. I didn’t really care since it was all legit and his invasion far outweighed what I had written. @Michele, very nice site you’ve put together! I like your handle “Juice Girl.” Love it, love it, love it! @Deb (gscottage), that’s a good song too! It’s excellent for singalongs. I’ve never had the journaling compulsion for some reason. I’m usually inspired to either write stories or to work on something that will make me money. I have a goal-oriented personality, I guess. Just writing down what happened during the day doesn’t fulfill me. That said, I did keep one when I was in Europe for three weeks. Lots of time on the bus riding between countries, and I’d left my laptop at home, so I scribbled in a little journal. @Lindsay, you could use a journal to generate ideas for stories or other paid projects. Not all writers want or need to keep a journal. It’s completely up to you. I would say it’s worth it to try journaling for a couple of weeks and see if you can’t find any benefits that support other areas of your writing. @Michele, I’m a smoothie fan but haven’t explored juicing very much. Actually, I haven’t explored it at all. But I’ll keep my eyes on your blog for some tasty new smoothie recipes! You just inspired me to grab my gratitude journal and start writing again. I’m a very infrequent journaler. I guess I’m a bit like Lindsay and focus on more practical matters instead of spending time with a journal each day. I do keep travel journals though and have quite a few sitting in my bedside table. For many journaling is very relaxing. I prefer to do craft and think about life in general. I find I relax more. @Monika, I think it’s difficult to keep a journal when we write for a living. I know that since I started freelancing, I’ve moved away from some writing practices I used to enjoy very much, like journaling and writing poetry. I think that’s okay for now, but not for the long haul! The gratitude journal is one of my favorites. It really helped me stay positive and hopeful through a difficult time. @ Melissa: I think you are right. After a day of writing the last thing I want to do is write some more, even though it is by hand. Hi Melissa. I’ve been out of touch with my journalling and feeling guilty. I have a stack of books from past journalling and recording dreams. I used to write morning pages (I wrote about this success in Magic Happens on my blog). But, for some reason I’ve been dancing around getting back at it. Keep my journal by my bedside and stare at it every morning! Help!!! Very strange indeed! @Monika, I’ve been trying to think of a way to incorporate morning pages into my routine, and now I’m wondering if I can’t slip in a gratitude journal. Those entries don’t take very long, and I could write them while I sip my coffee. Good way to start the day! @Davina, it sounds like you’ve developed some kind of resistance to your own journal. There are a couple of things you could do. You could schedule an appointment with yourself to sit down and write in it. Or just go do it right now. Maybe for your first entry, write about why you’re avoiding it. Once you figure that out, it might be easier to pick it up and write instead of staring at it. @Jessica, I haven’t been faithful to my journal lately either. I think it happens to a lot of writers. That’s okay though, as long as we come back to it eventually! And you did, so pat yourself on the back! Another great page Melissa. Journal writing has to be one of the most wonderful psychotherapy tools on the planet. It keeps people away from cell-phones, TVs and computers and hopefully off the street when things could turn sour for some. I don’t know if my journal writing amounts to spit. But it sure as hell gets a lot of crapola out my head and heart and onto paper. For teachers, they ought to be doubling their effort to get adolescent men into writing to get their stuff onto paper. I have no doubt it would be an effective task as the boys take it up. The story about a teacher in NYC who taught it what was apparently the worst school in the US; had quite a number of tear-jerker stories to tell because of his success with at risk and serious problem students. So why are you reading this pap! Why aren’t you writing? Yes, journal writing can be very therapeutic indeed. Throughout my schooling, I had several teachers who required that students keep a daily journal; we were usually given time in class each day to compose our entries. It had a profound impact on me, and I kept at it for a long time afterwards. I started journaling when I was twelve and try to keep it up regularly. The habit has come in quite handy, actually, during some extremely tough spots in my life, like losing dear friends. Through these times, I wrote out my feelings. Sometimes that was the only way to take some of the weight off my heart. It didn’t make it go away completely, but it felt healing, and now I have a lot of inner thoughts, emotions, and feelings to look to for inspiration in my creative writing. Reading this post made me realize that I need to get another journal (the one I have I keep by my bed and write in at night before turning in)–this one to carry around with me! Sometimes when I have a sudden idea, I quickly jot it down on my iPod. But having a real journal would be much better. Thank you for this post! It’s inspired me to be more proactive about my journaling and keeping track of my creative flow. It’s true: writing is so therapeutic! I think a lot of us are moving toward electronic writing tools nowadays, since it’s so much easier to carry a smart phone as opposed to a notebook and a pen, but I still prefer doing some of my writing the old-fashioned way.